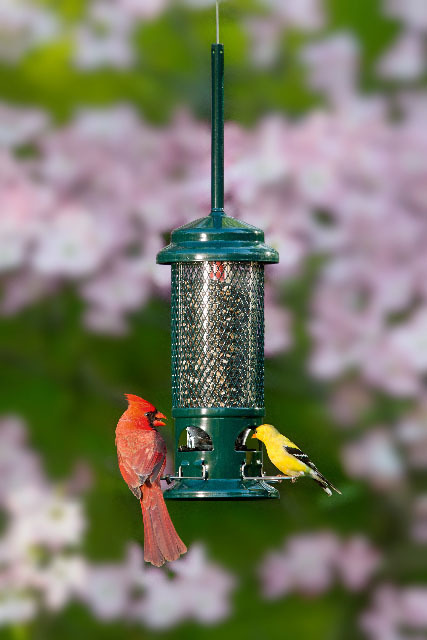 The new Squirrel Buster Standard raises the standard in everything a wild bird feeder should be. Here's why: Award-winning Squirrel Buster technology is truly squirrel-proof. Over 1 million very happy customers have confirmed it. ; Patented weight adjustable closing mechanism shuts out squirrels as well as some heavier undesirable birds. 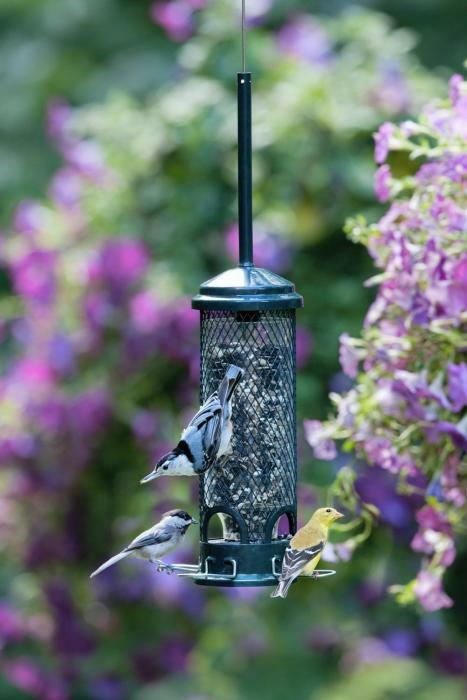 ; Seed Saver Technology eliminates seed losses to pilfering squirrels. These savings alone pay for the feeder. ; Seed Tube Ventilation keeps seed fresh. ; Both perching and clinging footholds increase bird activity. ; Chew-proof components stop annoying squirrel damage. ; Detachable Component System for easy cleaning, filling and servicing. ; Dishwasher safe for total sanitizing. ; Stainless steel perches and hanger. ; UV stabilized components.